Mueller's adjustable back brace provides firm, comfortable support to help relieve back pain. Ideal for back strains and sprains, moderate disc and arthritic conditions, sciatica, muscle spasms, chronic unstable lumbar spine, and strains of sacroiliac area. Lightweight, breathable fabric for all-day wear. 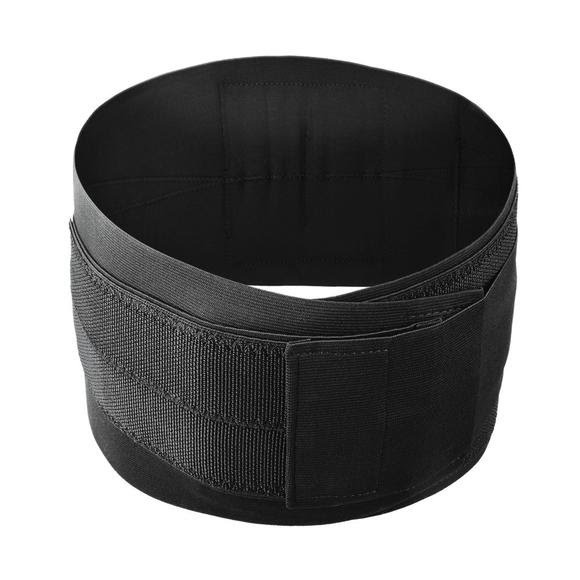 Mueller&apos;s adjustable back brace provides firm, comfortable support to help relieve back pain. Ideal for back strains and sprains, moderate disc and arthritic conditions, sciatica, muscle spasms, chronic unstable lumbar spine, and strains of sacroiliac area. Lightweight, breathable fabric for all-day wear. Main elastic band is 9” high and creates broad support. Second outer elastic straps are 4” high and allow for adjustable tension. Fits waist sizes 28” - 50” / 71 cm - 127 cm.